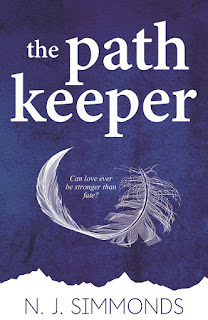 Today I’m talking to Natali Drake, aka author N J Simmonds, about the first book in her new Fantasy Romance Thriller series ‘The Path Keeper’ part of which is based in Andalucia and so caught my interest and desire to read it. ‘The Path Keeper’ is your first novel. How did it feel to be offered a three book deal with Accent Press on your first writing attempt? Surreal. I’ve been writing for as long as I can remember, but I didn’t take it up professionally until 2012 (I’m a freelance writer). In September of that year the idea for ‘The Path Keeper’ began niggling away at me and I decided to start a novel in secret. In 2015 I also co-founded The Glass House Girls to which I’ve contributed more than a hundred articles and helped exercise my writing muscles. By the time the book was finished I had the confidence to seek an agent and a year later, after having received forty ‘no, thank you’ emails from publishers, I finally got a yes. I was stunned but also felt relieved, after all...there’s no such thing as luck if you work hard enough towards your goals. I’ve since moved to The Netherlands, I’m still working the day job and I’m also a mother of two, I’m very busy, so more than anything my book deal meant that dreams CAN come true if you just keep pushing. The book focuses on many themes, from fate and destiny to love and second chances – why were these subjects important to you? The book initially began as a story about two young people falling in love; Ella – a spoiled rich girl who isn’t as happy as people expect her to be, and Zac – a mysterious blue-eyed boy who has no money and a big secret. But as the story unravelled I realised I wanted to know why she was the way she was, and I wanted to understand her parents, and her parent’s parents. I thought about how our past effects our future, and I pondered on the subject of whether love can be stronger than fate. What if we all have a True Love out there but we fall for the wrong guy? Can we change our life path? So the book went from being a simple love story to a multi-layered journey where the lives of seemingly random characters interweave and ultimately affect the outcome of Zac and Ella’s forbidden love. I won’t pretend that my own experiences and ‘what ifs’ haven’t coloured my work. Isn’t every story a tiny reflection of its creator? 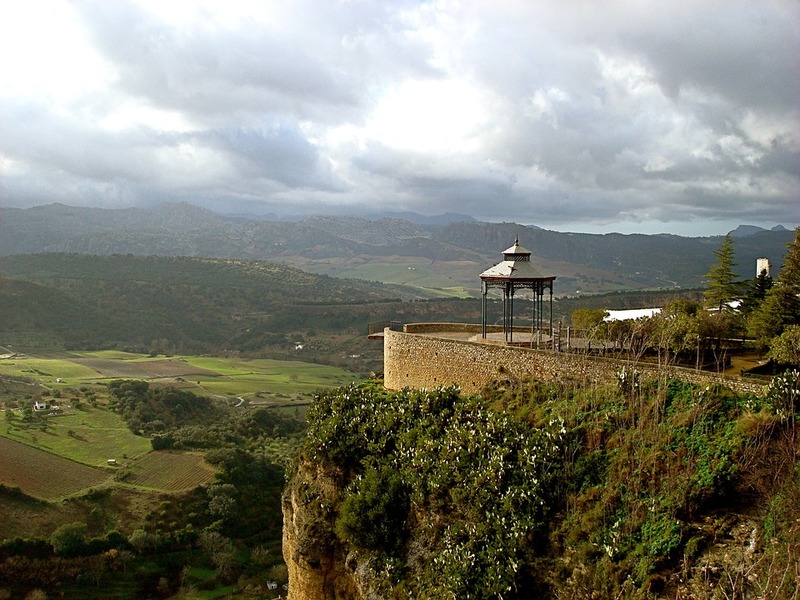 A big part of the book is set in Tarifa and the Andalusian mountains. Why did you base it there? Two reasons: Because as far as I’m concerned you can’t get a more romantic place than Tarifa. And, because I wanted to celebrate my connection to Andalucia. In the book we see two characters Lily and Leo meet on the windswept beach of Tarifa. We watch as they fall in love among the winding streets of the town, and we see her life crumble as she sits between the two seas; the crashing waves of the Atlantic on one side and the calm waters of the Med on the other. I’ve always felt that Tarifa has a certain air about it - tranquillity tinged with drama. 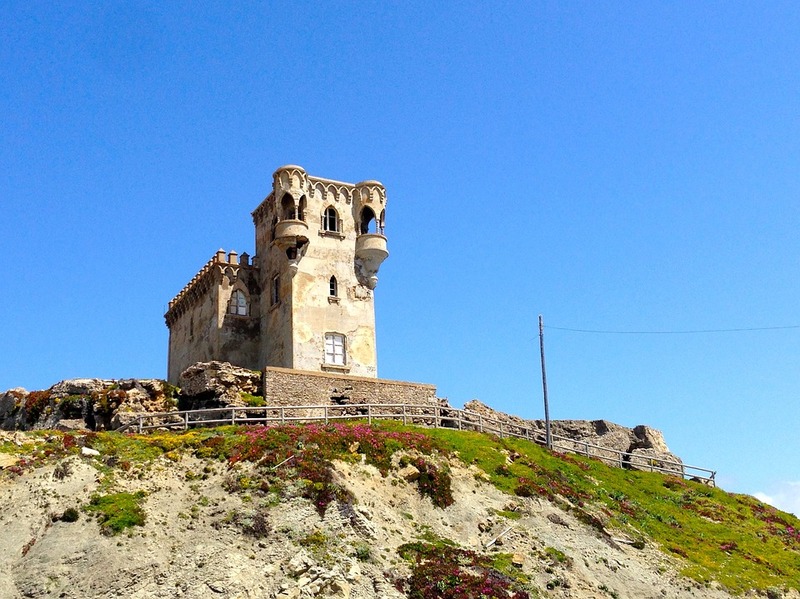 From the old weather station that sits incongruously like a gothic vampire castle looming over a huge expanse of beach, to the evocative Moorish architecture and incessant wind that drives its inhabitants crazy. 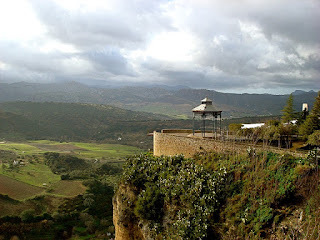 As for the Andalucian mountains, the fictional village of Las Alas is actually based on Gaucin where my husband and I got married. I passed a little ruin of a house one day and wondered who had once lived there, and it became the backdrop for one of the most exciting scenes in the book. Do you miss living in Andalucia? Of course! We moved to The Netherlands a few months after I was offered the book deal. Holland is closer to the UK, where my book is published, and my husband’s job and kids’ schooling is exceptional...plus there’s a fantastic literary and creative vibe where I live in Delft. It’s the home of Vermeer and ‘The Girl with a Pearl Earring’, as well as the famous blue and white pottery, so everything is very arty and geared towards learning and expressing yourself. What’s not to love? But of course this year has also seen us ‘enjoy’ the coldest winter we’ve ever experienced as a family and it’s been tough. Luckily we still have our little bungalow by the beach in Spain so we go back as often as possible to get some Vitamin D and sea air! Ella is a strong character- Did you choose such an outspoken protagonist on purpose? Absolutely! I love Ella, even the most irritating aspects of her personality. I wanted to create a strong feisty female lead because I was tired of young girls in books depicted as being eternally grateful for the attention of a man; girls that always need rescuing and feel incomplete without a controlling male. Ella is a very complex character, on the surface she appears strong and untouchable but she’s also as vulnerable as any one of us. She’s lonely, she’s needy and she’s defensive...plus she’s nineteen...so she’s at a stage in her life where she’s battling between the romance of love and all its drama, and the realities of what it means to be in a relationship. As the story progresses we see her slowly change – to be open to love you also have to be open to pain, and it’s a tough lesson to learn. 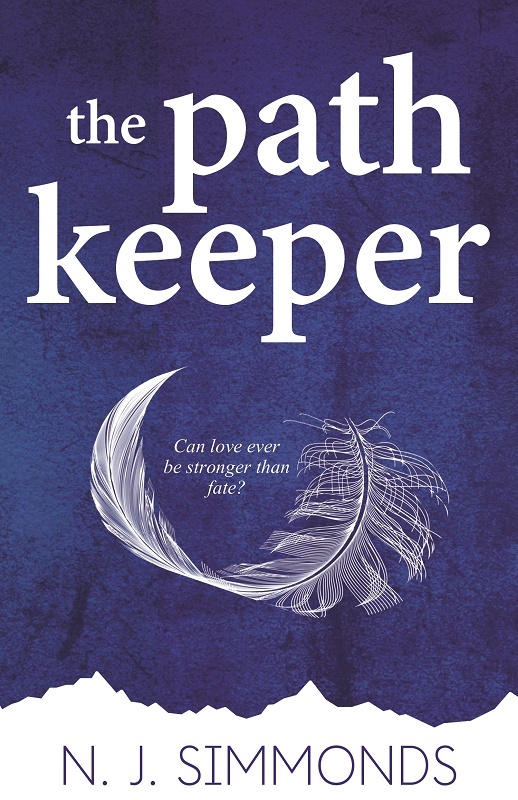 ‘The Path Keeper’ is part of a series – tell us what to expect in the second book? From the very beginning I saw ‘The Path Keeper’ as a trilogy, although I may expand it further if my readers want more! The first book is all about Zac and Ella and the risks they’re prepared to take to fight fate and be together, but it doesn’t end in a pretty happy ever after...the story is very much left open. The second book ‘Son of Secrets’ (out late 2017) follows the aftermath of Ella and Zac coping with their new lives. Will Ella choose destiny or her Soul Mate? And what happened to her horrid step-brother Sebastian? Plus we see more of Gabriel and meet Luci – the most interesting character I have ever written about. You won’t forget her in a hurry! Will we be seeing you in Spain any time soon? ‘The Path Keeper’ is available to buy from 23 February 2017 at all good bookshops or on Amazon. 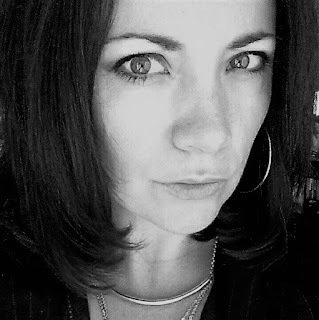 For more information about N J Simmonds and her books please visit her author site at njsimmonds.com or follow # thepathkeeper on all social media platforms.